Strawberry wreaths is one of the easiest recipes to make. 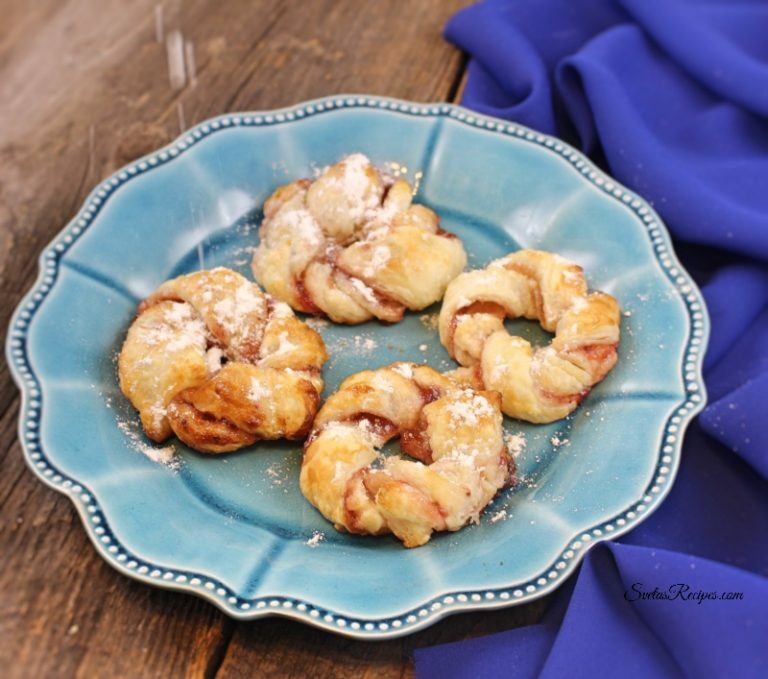 They are made with puffed pastry dough with strawberry preserves. 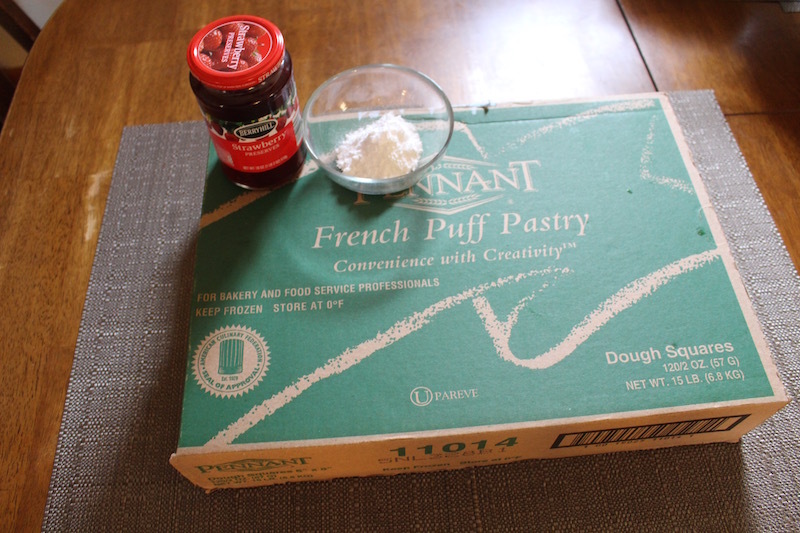 Take one sheet of french puffed pastry dough and cover with a thin layer of strawberry preserves. Then close it from both sides as shown in the picture above. 2. Divide Horizontally into 8 equal pieces. 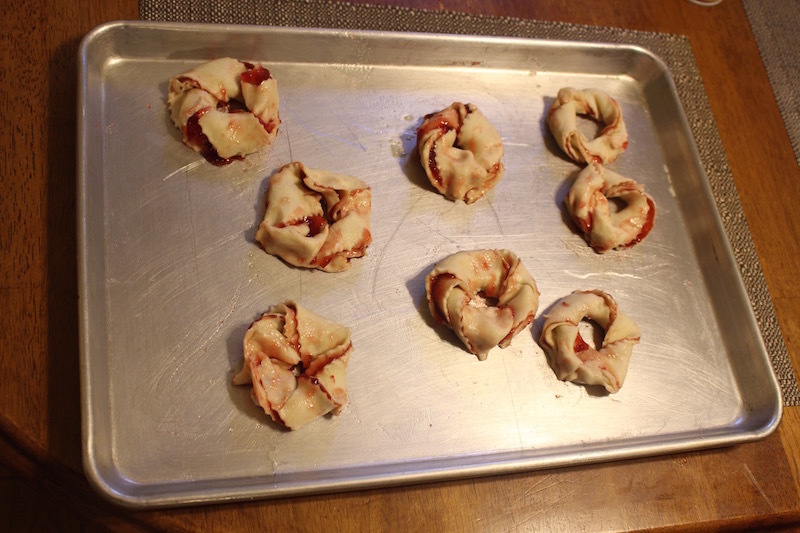 Then take each of the pieces and twist into a neat wreath. 3. Spray a baking sheet with stick resistance spray and then place all the wreaths neatly. Bake for 20 minutes at 400 F.
4. After they are done baking let them cool down and sprinkle with sugar powder. 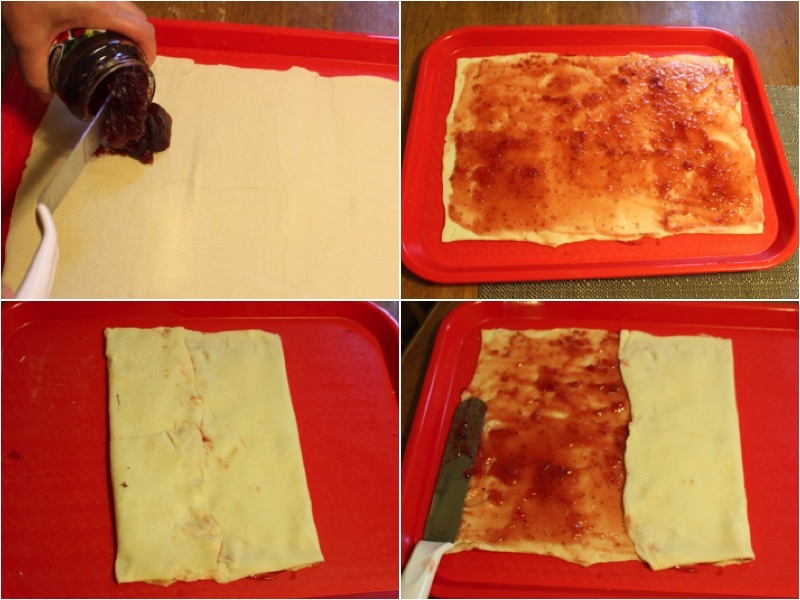 Take one sheet of french puffed pastry dough and cover with a thin layer of strawberry preserves. Then close it from both sides as shown in the picture. 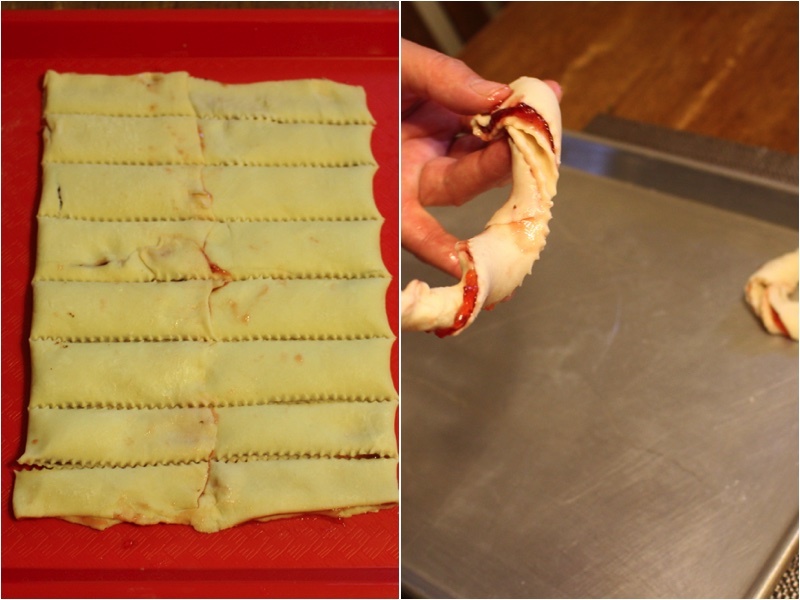 Divide Horizontally into 8 equal pieces. Then take each of the pieces and twist into a neat wreath. Spray a baking sheet with stick resistance spray and then place all the wreaths neatly. Bake for 20 minutes at 400 F.
After they are done baking let them cool down and sprinkle with sugar powder.